Dani want dream wedding. Dream wedding expensive. Dani feel guilty for considering spending the money. But Dani wants guests to have fun! Dani realizes wedding is only ‘one night’ so she cuts budget and uses half for house downpayment. Now, Dani must cut guest list in half. Dani cuts dream band. Dani considers eloping (4 times a day). This makes Dani sad. Budget is now less than the average wedding in America. Dani thinks this is impossible so she asks her Instagram followers for advice. This is what they say. I never desired some super extravagant MASSIVE wedding. I pictured 100-150 of my favorite people (may seem like a lot but like half are family and parent’s friends) all together under one roof, dancing their butts off to some good band, eating some decent food. I’ve been told every bride is supposed to prioritize her 3 most important things but what they don’t tell you is that your parents and fiance have opinions too… MY priorities are the band, the venue, and the photographer. My parent’s are the food, drinks, and convenience in location. Jordan’s is the frozen margarita machine…and well, that’s about it. Didn’t think a 150 person wedding in a simple venue in Dallas with a couple of flowers here and there WOULD WIPE OUT MY ENTIRE BANK ACCOUNT. Budget. Here is the most expensive part about planning a wedding. THE CATERING. I have toured 6 venues in Dallas and every venue is about $4-8K to rent. Not bad, huh? IT’S THE CATERERS THAT GET YA! Out of the 6 venues I have looked at, every single one of them require you to use their catering company in house AND have like, $15-20K food and beverage minimums. That means for JUST the food and venue for 150 people, you are already at $20K+. Yep. Now you see the source of my stress? I will say, these are definitely nicer venues in town but this is without a photographer, videographer, wedding planner, dress, cake (which can range from $1k-$5k), band, flowers, decorations, photobooth, bridesmaids gifts, lighting, any other rentals needed. Now you see why the AVERAGE wedding in the United States easily comes out to $30K. So I went on an Instagram story rant and asked you guys for advice. Here is what I learned. I would LOVE to hear your feedback in the comments below! A big wedding with lots of things isn’t always apprecaited by your guests, and you probably won’t get to enjoy them either because the whole thing goes by so quickly and tends to be a blur. A lot of brides don’t even remember the reception if it is too big and they are just going around saying “hi” to people all night long. Make a budget and STICK TO IT! Out of the 300+ messages I have received from my followers regarding their weddings, 95% of them wished they would have done something smaller and saved money for a downpayment on a house or even for their honeymoon. I’ve always wanted a 150+ person wedding so this was difficult for me to hear. Don’t spend $ on the things you don’t care about. (Bleh, SO much easier said than done) For example, I’m sorry I don’t care about the food but I would hate for people to get there and be starving! But at the end of the day, the people that love you will be there no matter what. Unexpected costs: asking your bridesmaids to be in your wedding and a gift for them. I have not been quoted less than $18K to feed 150 people yet. Scary huh? Now you see why Im trying to half this guest list (which is extremely difficult and sad to do). Don’t spend money on a huge cake. Go to Central Market and buy 8-10 $30 cakes that are different. Buy a big pretty cake that doesn’t taste as good and serve sheet cake from the back. #Sneaky and #Genius I LOVE IT. Close the bar during dinner to save money. Be aware of sunset times to get all the pics pre and post ceremony that you want. Only hire a photographer for prep, ceremony, portraits, and maybe the beginning of the reception. As a former wedding photographer, receptions can be so long and if not a ton of people are dancing, there’s really not that much to photograph anyways, so you’re paying for them to wait around for the sendoff. You can reduce your coverage from about 8 hours to 4 hours and still get amazing photographs but not break the bank. Splurge on photographer and or videographer. If you are going to spend all of this money for your wedding, prioritize the budget for your photos because those are the only thing you will have (besides your husband lol) to look back at after the big day. Choose a Sunday or Friday wedding to cut costs in half. People who love you will be there no matter what day of the week it is. On Friday and Sundays not much is competing with your time-slot so prices aren’t as inflated. Get married on a weekday to save money. Approach vendors with your budget and ask them if that will work. Use Google Sheets wedding template. IT IS A LIFESAVER. Use a day of coordinator so you don’t go crazy. Someone that is inexpensive and can coordinate timing and cues on the actual day. Check into the place you are booking, they usually have one. Make an e-mail just for wedding stuff so it doesn’t get lost in everything else. Use it to contact vendors. Wedding planners have great connections with vendors and could possibly help you get better deals. Order flowers wholesale from Fiftyflowers.com and make your own bouquets. Get your bridesmaids to help and it can be a fun activity after brunch. Use a lot of greenery for the center pieces with vases and candles to save even more money. Etsy has signage and invitations for affordable prices. Repurpose flowers from your ceremony at your reception. No complaints in this area. I’m like 99% going with a Hayley Paige dress but have an appointment to try on Stella York dresses soon! For affordable options check out Blush my Hayley Paige or Muse by Berta. Use the knot to help you find vendors. $15k for catering is CRAZY. You can do so so much better. I get married three weeks from Saturday… so I fully understand the stress! We’re getting married and building a house at the same time, so I am fully feeling the financial stress (plus we’re currently scheduled to close on the house the day before we get married, yikes!)! But, I promise it is possible to have a wedding on a lower budget (we are doing it for a good bit less that stuff you listed above and invited almost 400 people). Luckily, we were able to find a venue that not only was the venue fee a steal, but we ended up being able to work out our own menu from their in house caterer to fit within our budget. We did end up opting for a cash bar for everyone, mostly because we didn’t want the liability of having an open bar. I’ve also been to weddings where an open bar was offered for a certain amount of time, then switched to a cash bar. A tip for the cake, find someone who does it on the side as more of a hobby instead of a large bakery! This is what we did and when she gave us the price, I was (pleasantly) surprised at how much lower the price was. Same for the flowers. My mom actually use to do wedding flowers, so we knew about how much it should be. We are using someone who, again, does it on the side as a hobby. Try to do as little DIY stuff as you can! You will regret it later. I know this can be hard to hear but one of the BEST ways for cut a huge cost is to skip the band. I’m planning a wedding right now too and after I looked at band fees, I found that it’s SO MUCH CHEAPER to either hire a DJ or in my case, just rent speakers/audio equipment and make a Spotify playlist. People don’t care about where the music is coming from really, they just want fun music they can dance to, and with Spotify playlists, you can customize whatever songs you want for different parts of the reception and just have someone in charge of changing the playlists accordingly! Hi, I got engaged last New Year’s Eve and am getting married this New Year’s Eve I live in ATX but am getting married in Michigan where I am from, so planning from a far is slightly stressful! Although my wedding hasn’t already happened I can give you some advice I have so far! 1) don’t rush your date! I had 365 days in between engagement and wedding and I’m so excited for it but it goes soooo fast! To save yourself stress especially if not getting a wedding planner and give yourself time to save more money maybe prolong your engagement, it’s totslly hard because you’re so excited to start your lives together but you’ll still love each other just as much if a few months-a year later! 2) Cake! We are doing cheap pretty cake serving sheet cake from the back but have you ever been to a wedding and your full after dinner and don’t want cake right away or you go dance and move seats and when your return you don’t know if you’re biting into someone else’s cake or the piece for you? Or been hungry later, I’ve gone to so many weddings and just seen wasted cake although it may cost more for little boxes we are having baker but cake into clear little to-go containers that way guests can eat it when they want or take it with them later and cake won’t get wasted! 3) videographer! I went back and forth between getting one or not because they are so dang expensive and I didn’t know if we’d ever watch it years later but when I asked brides that had one and ones that didn’t those hat didn’t regret it and those that did are happy they did and still watch it on anniversaries! 4) photographer! I saw you mentioned getting photographs when light out still! Our ceremony is late so even though I wanted to stick to traditional groom not see bride until walking down aisle I decided on a first look! For a few reasons… a more intimate moment of bride and groom with just a photographer instead of all guests staring at you both and you can get bridal party photos before ceremony as well that way your photographer isn’t at entire reception you can only get so many photos of people dancing you don’t need hours worth of it! 5) close bar during dinner (we are and I think it’s totally okay to do) 6) we aren’t giving away favors or welcome bags to out of town guests staying at a hotel! At first I felt like that was kind of rude but it’s one more thing to pay for and our food I feel costs more than the average wedding in the area we are getting married in! 7) cutting guest list! It’s hard to cut it down if you don’t have a ton of younger cousins or out of town guests perhaps make it 18 & up to cut out little kids (although they don’t drink it’s a few less meals) also my fiancé’s mom is one of 12 and dad one of 8 so he has a crazy amount of first cousins that of course all have dates and while we hated doing this we didn’t give them a guest if we personally hadn’t met their significant other! Also, although you can’t count on it proper etiquette for a wedding cash gift is to pay for your meal or seat at the wedding although guests will guess on that but remember you will get money back in the form of wedding gifts, and not to sound greedy just being honest your parents friends will likely give you more money than your friends! 8) if you can afford a wedding planner it will save you so much stress and they likely will have great deals and advice for budgeting and keeping you on budget! If you can’t afford a wedding planner a day of coordinator will be super helpful as well! 9) don’t get sucked into using minted for invites or other paper goods, you can find very similar templates on Etsy for way cheaper! Right now seems like mandatory food at the venues you like are bringing up your cost so I’d def try to find another venue that doesn’t require food! Good luck with wedding planning! I’d be interested in seeing an updated post on this!! We didn’t do a “send-off” because we didn’t want to pay a photographer to stick around that long, plus older guests are usually gone by then. Instead we did a big grand entrance to our reception with Flutter Fetti which then transitioned into our first dance and it was so much fun. We still got the awesome photo-op without paying 3-4 additional hours for a photographer. Hi Dani!! As a bride to be myself it has been so refreshing to know you’re not alone in the “common people” budget struggles. I am getting married outside of Austin and I think our venue and caterer were a STEAL. Our caterer is newer and trying to get her business out there and I can tell you for 150 people we’re only paying about half what you have been quoted so far (again we think she’s a STEAL!!). And her food is AMAZING! Not sure if your considering Austin, but would love to pass her info along if so. Thanks for the honesty, openness, and encouragement! Hi Emilie! Sorry to pop in here, but I’m desperately seeking a venue and caterer around Austin and would love to know who you are using! When you think about what you want for a wedding it is so easy to think, “Oh I was the food to be great,” or “oh a great band will make all the difference.” But at the end of the day our priority was celebrating our families and friends who had gotten us to that point in our lives and letting them know we appreciated them. It seems hokey, but it helped clarify a lot of decisions for us and prioritize our spending. I will say that it definitely ended up being more economically friendly to choose a venue that did not require us to use in-house catering and other services. It allowed us to think outside the box in terms of our other vendors. We had a local restaurant cater and it was TONS cheaper than the quotes you’re receiving. We also designed our own invites and had them printed through CatPrint rather than going through Minted or custom. There’s tons of ways to cut little costs like that. Last thing (sorry this comment got long) instagram helped A TON. We were able to find vendors who were just getting started int he business and were willing to work for less. Just went to a wedding in Vegas. They hired two food trucks to feed people and it was $6k total to feed 130 people. Which I don’t think was bad at all and that included endless gauc and chips which was the cocktail hour food and that was it, but was amazing. Love this post!!! I got married in June and I relate so much to this struggle. We did a lot of things to save money for the wedding. We bought a cake from a vendor that was perhaps not the fanciest, but I was dead set on a naked funfetti cake and our baker actually made the cake out of box funfetti. Everyone loved it and the entire cake was eaten (besides the topper, of course)!!! It saved money because we only got an ~70 serving cake for 125 guests and got cupcakes (which were cheaper) for the rest. This way, we were also able to get gluten free options for our guests which allergies (and we had quite a few). Cake is definitely not the most important component, so don’t sweat it too much! When I got my dress, I told my consultant my budget and they lowered the price of the dress by $300 to stay within my budget! We saved thousands of dollars on flowers by doing them ourselves. I would say this is only feasible if you have space to keep the flowers, someone to help you transport them, and relatives/friends who will help you arrange them. We were fortunate to have all of this and we saved so much! We ordered our flowers from Sam’s club to arrive two days before the wedding and did them then. They were beautiful too! My biggest piece of advice is to splurge on your photographer if having great photos is important to you (if not – splurge on the most important thing on your list!!) It was one of my top priorities, so the photographer ended up being my biggest splurge and it was definitely worth it. I love looking at photos and I am still so glad that we made the decision to spend a little extra there. At the end of the day, you will be so glad that wedding and planning are over and that you are finally married!! Your wedding day is exciting but long and exhausting and you just can’t wait to finally be able to get away from it all as newlyweds. I am so excited for you! My biggest piece of advice for you is to get the wedding planner. It will take so much of the stress off of you, they know people in the industry, they can think outside of the box and work with you from their past experiences to make your vision come through to fit your budget. They also will recommend vendors to match your vision and your personality. (We loved every one of our vendors) Wedding planners can sound intimidating and expensive, but I think that the experience they have, the people that they know and the stress that they take away from you far out-ways the cost. I would never have been able to plan our dream wedding within my budget without one. Also, I would recommend a Friday night wedding to a Sunday night wedding if Saturday is not an option for you. I’ve been to both, and the Friday nights are so much easier to get off work for being at the end of the week/we don’t have to worry about going to work hungover on Monday morning (Monday’s are already bad enough). Finally, don’t elope no matter how tempting and less expensive it is!! My now husband had to talk me out of it and I am so thankful that he did. I had so much fun at our wedding and being able to celebrate our happiness with all of our friends and family, I literally could feel the love from everyone radiating throughout the room the entire night. I will never forget that night and how much fun we all had. I know every brides experience is different, but it was literally the funnest night of my life and so worth the wait and every penny that we spent. I’m sorry for my super long rant but I hope this helps put you at ease a little, and gives you something to look forward to. planning a great wedding within your budget is attainable and so worth it, and will provide memories for you guys for ever! Let me know if you have any questions, I’m happy to help! Holy cow! I never realized how expensive a wedding is. I have expensive taste, so this is going to be a real struggle for me when the time comes! My one suggestion would be that you do at least a year to a year and a half engagement. Just because it will help you find ways to cut on things as well as look up ideas to decorate that are budget friendly. My sister did this, she ordered her flowers from COSTCO and they were beautiful. Also you may want to sacrifice alcohol. Trust me it’s not an important thing. My sister got married on Easter Sunday and she saved a lot of money. 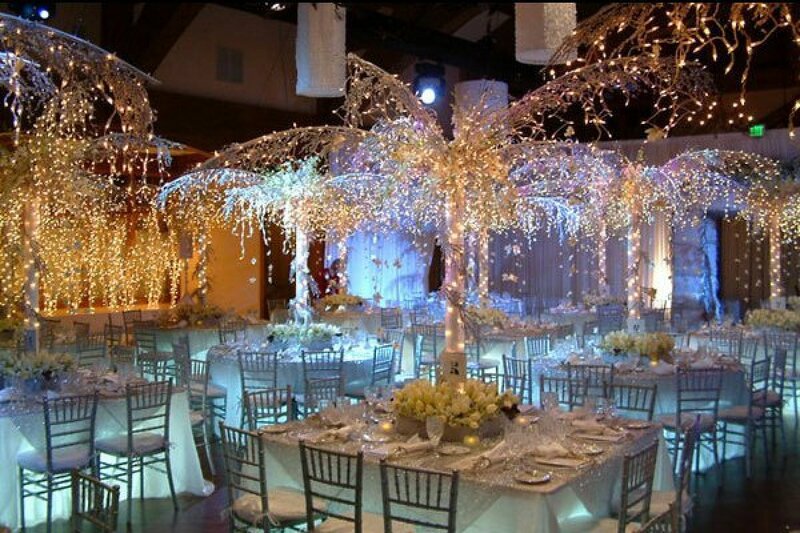 You what to plan a wedding that’s worthy of your money and time. By rushing you are only going to make decisions on things based on time limitations and not based on budget. Photographers, I’m sure you can find a YouTube friend or two that can help you out in that aspect. You’ve network yourself in that industry so time to take advantage of it. So overall just focus on things that you can cut and have a long engagement. There’s sacrifices that need to be made, and if you’re wanting to buy a home that may be something you may have to put on hold as well. Just talk over with your fiancé and really weight what’s important. Weddings can be done and re-done, and put your trust in God and let him give you the wisdom and peace to find the right timing and answers for this new chapter in your life. I had 120 guest at my wedding and about 100 of them were people I didn’t care for but my family wanted them there. And 5 years later I got divorced. I then helped my sister plan her own wedding. Helped find her bridesmaids dresses online and gifts and what not and if you want to see how beautiful her reception turned out message me and I can show you. There’s always a better option, cheaper/budget friendly but you just gotta have time to do the search. My email isjulissarc9122@outlook.com if you need help or want to see what she did for her wedding I have pics to share. Best of luck. Have you considered looking into a venue that doesn’t provide catering? I got married in Charleston at a Plantation and the downside is that you pay for everything, but the upside is I got to pick and choose my vendors. Those numbers are really high for food and alcohol. I’m wondering if they would be that high if you didn’t have the wedding at an all inclusive venue? Also, caterers and venues always increase food servings by up to 15% for overages, so you always have a ton of uneaten food that goes to waste. I actually gave my final headcount lower than I knew would attend and we still had leftovers. Oh!! That’s another way to get the cost down- don’t do a seated meal. You can do stations or a buffet and have the tables with assigned seating and this will cut down significantly on the cost of food and servers! And most importantly-don’t get too wrapped up in the perfection of it. Do what you love and within your budge and try not to panic when you sign the contract with all those $$$$. You’re doing this once and you’ve looked forward to this day forever! 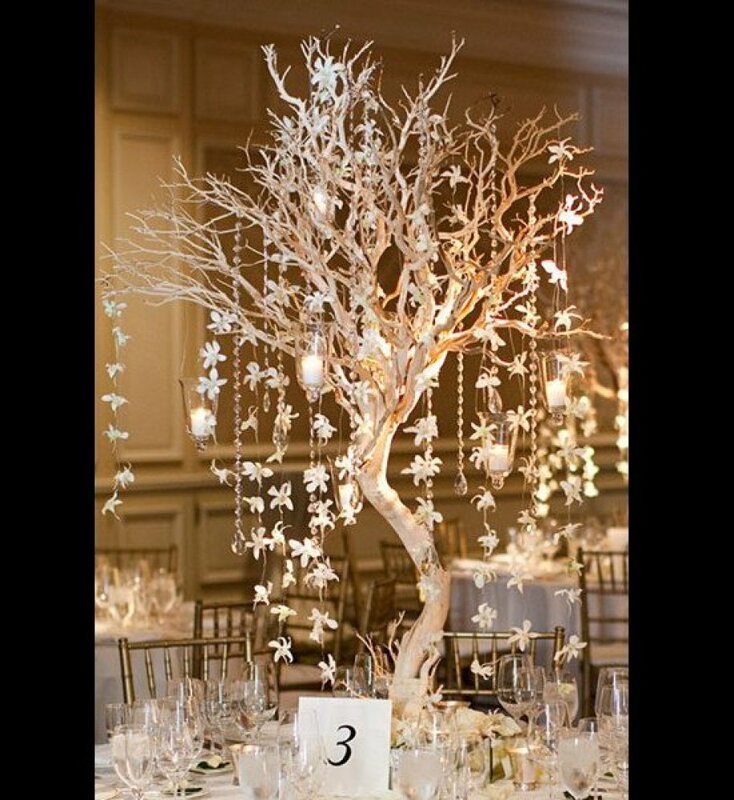 Or you can mix up the centerpieces with flowers AND something else so you can have fewer flowers. Hey, Dani! I just got married in July. I have a few tidbits of advice for you. Luckily our families were SO great with letting us do our own thing and they also helped us out a lot financially. I’m a big picture person, so photography was a HUGE deal to me. I am so glad I went with my gut on spending a little extra money on the photographer because after the wedding, that’s literally the only thing you have left of your special day (besides your new hubby of course ;)). Decorations get thrown away, extra food gets eaten (or thrown away also), and most likely your dress gets sent off to be preserved and hidden away for a while. If photography is a big deal to you, I highly suggest spending the money to get the right photographer. If your parents are super picky about the food, maybe ask them if they could help out with the cost to get a caterer you’re all happy with. If that isn’t an option, I think it would be a really cool idea to put out a search for new caterers in your area who are trying to drum up some business! Typically you have a tasting with caterers anyway, so while you’re not spending a fortune on food, they’re getting their business name out there! It’s a win-win for everyone! Love this article and all your wedding planning advice so far! Finding a reasonable venue that has availability still has been hard for us, but we’re going in a couple of weeks to look at venues that still have dates for us! Planning a destination wedding as a way to keep some of the numbers down. Definitely planning to cut in some areas and spend more on photography and venue/location. I don’t care much about cake and it’s a tradition to do cookies as well in my family, so we’ll probably order something small from someone who does it for fun! My cousin is a florist and is doing our wedding flowers, and I’m planning on more casual food (like BBQ or pizza) because that’s what we like. Maybe a food truck! Excited to be on this journey at the same time, thanks for being so real about how expensive and crazy the industry can be! Dallas is expensive! Have you tried Belo Mansion? It’s pretty and inexpensive. We are using it for an upcoming work event. This might not be an option considering one of your parents top priorities is location. But Dallas in general is WAY more expensive than a lot of places in Texas. I am getting married in a little over a month and our caterer for a quoted 320 people is only 6k, and its not just bbq. We are having a full chicken dish with two sides, salads, and rolls! Also, if food really doesn’t matter to you, BBQ is one of the cheapest ways to feed all of your guests without breaking the bank on food! It will leave a lot more room to get all of those other little things you wanted!! Then for appetizers you could do a gourmet popcorn bar that sounds pretty cool, and wont break the bank!! As far as floral, I did a lot of shopping for ours. We really wanted the feel of a lot of flowers without paying the big bucks for them. Make sure to use a lot of greenery, and then also we have 30 tables, but we chose to do 3 different arrangements, one that was a fuller floral arrangement, and the rest are mainly greenery and less elaborate with candles, vases, and votives! This really helped cut down the price of the flower arrangements! I also really wanted a band, but as someone else said, when on a budget DJ is the way to go! Another way to save is to try to find a company that does more than one aspect of a wedding, like a dj that also does photo booths with offer you discounts for using both from them. Or a planner/coordinator that also does floral! Things like that! Love that you are most likely going with a Hayley Paige! My dress is also Hayley Paige! She makes AMAZING dresses! I love your post! I was in the same position as you for my wedding 2 years ago. I actually planned it all on my own and paid for most of it with my fiancé. My mom was giving us 5k as our wedding gift and said we could use it for our wedding or use it as a down payment. We of course used it for a house as we are rational thinkers like you. I think we paid a total of $6k for our wedding and we loved it! I am very proud of it. Here’s my breakdown..
Music: Speakers from our church and an iPod. We just moved to the DFW area and I’m seeing pricing here which is scary, but still possible for girls like us. Best of luck, and remember, the main focus is spending the rest of your life with the man that you love, everything else shall pass. Just did this whole thing and had my dream wedding and came in UNDER budget! If you’re looking at Hayley Paige, look for an even steeper discount by looking at a secondhand website. Got my Modern Trousseau from http://www.preownedweddingdresses.com for $8000 less than in store! It wasn’t even preowned! It was the floor sample in perfect condition from a cute bridal boutique in New England. They shipped directly to my local seamstress and couldn’t have worked out more perfectly! I also would love to have a house ready before I get married and plan the wedding. I have been stressing out how I’m going to save up for both because they are both so much money. Thank you for your advice on budgeting for the wedding, it really helped with the stress going on. I love all of these pieces of advice! I’m not engaged, but want to pursue a career in event (specifically wedding) planning! Budget can really put a damper on things for many brides, particularly once they have a vision in their head thanks to the Pinterest era we live in! But great tips regarding all different areas of wedding planning! I love all of the adorable bride-to-be gifts you featured!